Welcome S.R. 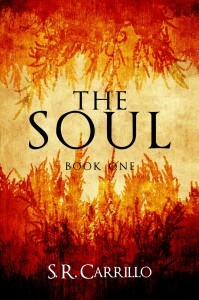 Carrillo to the blog with her LGBTQ dark fantasy, the Soul series. 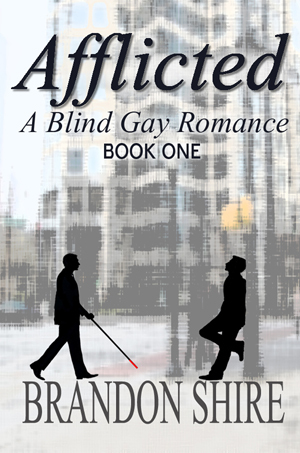 Welcome Kenneth Creech to the blog with his paranormal M/M novel, Awakened. Caleb McEllis has been haunted by the same nightmare for as many years as he can remember; he is swallowed by darkness and unable to escape. Which was the perfect metaphor for the small conservative town where he grew up. Once he graduated from high school, he vowed to never return, hoping to escape the teasing he experienced since childhood. On his way to work one night, his nightmare comes to life and something in the darkness comes for him, causing him to careen off the freeway and flip his car. During the ensuing chaos, a stranger pulls Caleb from the wreckage moments before lighting it on fire. As the night continues, Caleb discovers that this stranger knows more about him than he should, perhaps even more than Caleb knows about himself. Caleb is forced to trust the stranger or run the risk of being killed by whatever attacked him on the road. 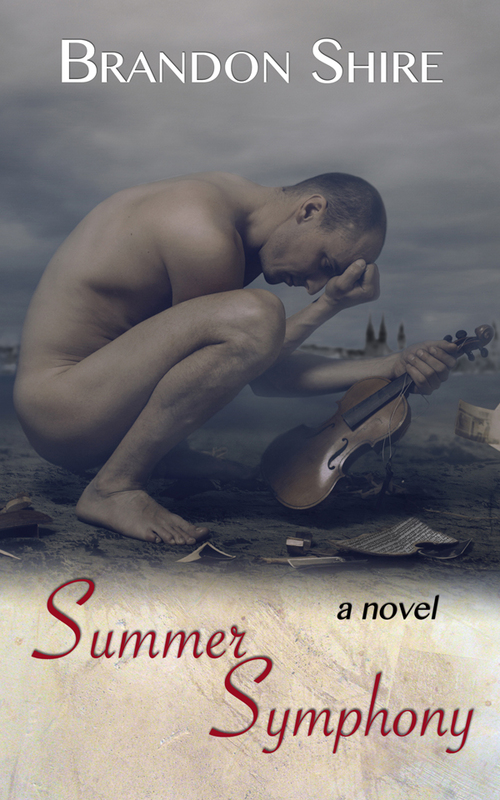 He soon learns that the things he thought he knew about himself are based on lies he’s been told since childhood and as they unravel he is forced to confront the truth about what he really is. 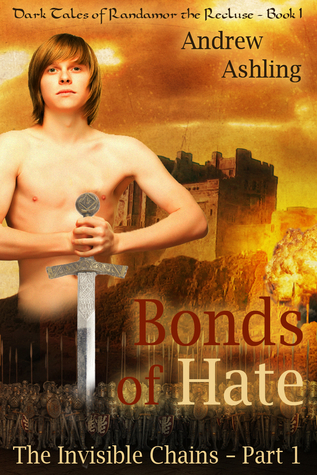 In order to survive, Caleb must let go of his past and embrace his true nature. Proof that puberty is hard for everyone, but for Caleb, it could be murder. 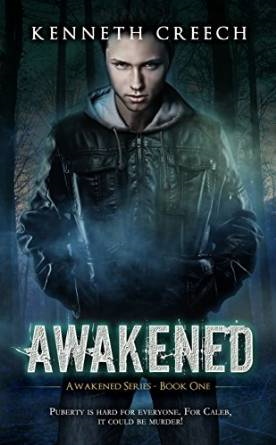 Awakened is a young adult paranormal fiction novel that is infused with humor and a little bit of male on male romance. 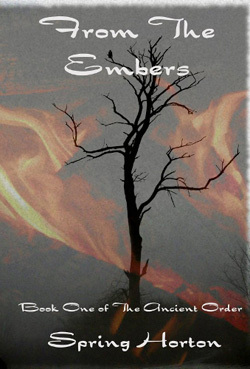 It’s a twist on the traditional shifter genre, and will leave you wanting more! Awakened is the first in the series. 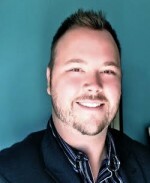 Having been an avid reader of paranormal and sci-fi books since childhood, the genre is part of Kenneth Creech’s everyday world. Kenneth has the sometimes annoying habit of watching the people around him, which has led to some of his best inspiration, as he imagines what is going on in their lives and their minds. While writing Awakened, Kenneth also used some of his own dreams as inspiration for how the events unfolded in the story. When not writing, Kenneth also helps other writers by editing their works, getting them polished and ready for the world to read. First of all, before I even get started, I need to say thanks to Brandon. As I was typing the name of this document to make sure it got saved properly, my Mac reminded me gently that I already had a “Blog post for Brandon Shire” in my folder. Curiosity kills the cat, so I looked and yes, back in July 2013, just days after I had published my first two novels, Brandon had me on his blog, giving me a chance to talk about them. With the creation of new worlds, aliens, and inter-galactic politics one would think that science fiction is a literary genre welcoming of diversity. However, both queer and female voices in sci-fi are often either hard-to-find or snubbed by the genre’s readers. 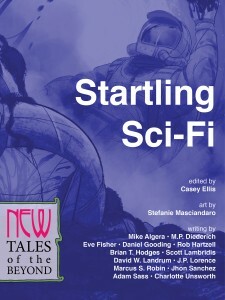 Startling Sci-Fi: New Tales of the Beyond edited by Casey Ellis (New Lit Salon Press) is inclusive of both queer and female voices. The collection also attempts to disprove the misnomer that “literary fiction” and “genre fiction” can’t be one in the same. I sat down with one of the anthologies authors, Adam Sass, to find out how he’s helping to queer the beyond. 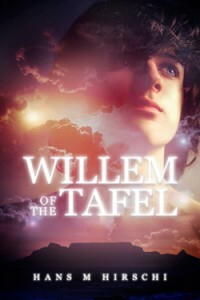 Brandon: Why do you think Science Fiction attracts so many gay readers and writers? Adam: It has a flair, doesn’t it? Sci-fi writing lends itself to splashy, showy, larger-than-life characters. It colors the mundane, presents big ideas, creates fabulous powers, and features operatic drama; all things gays (on average) find to be mother’s milk. It’s also a genre that’s big on metaphor. Gays can really rock a metaphor. 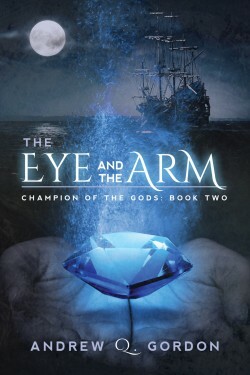 Friend and author, Andrew Q. Gordon has a new book out in his Champion of the Gods series, and it looks GOOD. Check it out below, and don’t forget to enter the giveaway on the bottom of the post. ~B. M.E. Vaughan is a binational Anglo-French novelist and singer-songwriter. Raised in various countries across the world, she grew up listening to a wide range of folk-tales, myths and legends. Her novels and work, as a result, tend toward the themes of mysticism and the occult. She is predominantly a Fantasy author, working in both High and Urban Fantasy as well as Magic Realism, but also enjoys Mystery and Historical Fiction and writes personalised murder mystery games for parties. Welcome Spring Horton to the blog. She stopped by with a subject that is getting more and more traction from both within the LGBTQ writing community and from outside of it as well. – B.
Wasn’t gay marriage legal in ancient Greece? 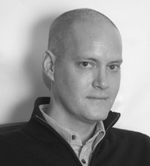 Welcome Andrew J. Peters to the blog. 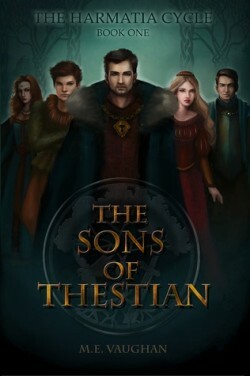 He writes gay-themed fantasy fiction and is the author of The Seventh Pleiade and the Werecat series. In his other life, he was a social worker for lesbian, gay, bisexual and transgender youth in the New York City area. Nowadays, he balances his time between writing and working at a university. Brandon: First, let me start with a confession. I loved the richness of the mythological lore in which The Seventh Pleiade is set. Greek mythology was a huge favorite of mine growing up and I was hooked from the start. Tell us a little about your inspiration for writing it. Andrew: Thanks Brandon. I’ve loved mythology since I was a kid as well. Welcome Jaye McKenna to the blog with a cover reveal and an excerpt from book one of her new science fiction series: Guardians of the Pattern. 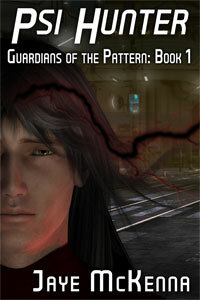 In my new sci fi series, Guardians of the Pattern, the line between science and magic blurs. In the Federation, psions are hunted down and murdered because the public fears their psychic talents. But when ancient weapons of mass destruction are unearthed on a planet populated by primitive nomads who still believe in magic, psions may be the Federation’s only hope for survival.